Rainfall recorded across Australia for the seven days to 9am today. WEEKEND rainfall has delivered some useful but customarily patchy falls to a band of country stretching from central Queensland down to the Darling Downs, with totals ranging from 25mm in places to isolated falls in excess of 100mm. It comes as producers in the State’s north west who received substantial rainfall and flooding in February begin to enter the market in larger numbers to restock now they have a feed response. Large areas inundated by rain and floods in north west Queensland in February are now showing a favourable feed response. Affected producers focused the initial stages of their recovery work on stock-proofing boundary fences to enable restocking. Many have also been waiting to have drought-declared status on their properties revoked before restocking so they can qualify for the 75 percent freight subsidy available for restocking after drought. Buyers from the Boulia, Winton and Longreach areas have been active in the market in the past week while producers from Julia Creek and Richmond were buying at the Blackall store sale last Thursday. Due to rainfall of 25-50mm in parts of the Maranoa over the weekend, the yarding for tomorrow’s Roma store sale has contracted dramatically from an expected 4000-5000 to just over 2000. One vendor from the State’s central west who had trucked several hundred cattle to Roma for tomorrow’s sale has understandably withdrawn the cattle from sale and will now truck them back home after receiving over 100mm on the weekend. 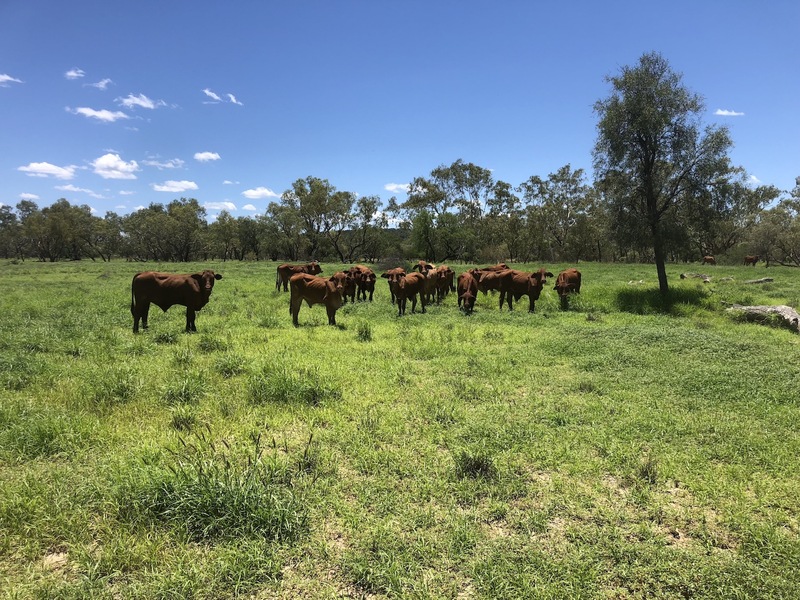 Several people Beef Central spoke to this morning referred to the number of cattle trucks now moving along the State’s inland highways, moving cattle from southern areas to agistment or restockers in the rejuvenated north west. However there are also many trucks coming back the other way, filled with cattle from pastoral company properties in the severely drought-stricken Barkly Tableland to wherever companies are able to find feed, feedlot space or agistment elsewhere. Many eyes will be on two one-off store sales being held in the next two weeks as pastoral companies go to the market to lighten stocking loads, and what impact the additional offering of 10,500 cattle will have on the broader supply-saturated market in coming weeks. AA Co is selling 6000 2018-branded steers from its Barkly property Brunette Downs at the Longreach saleyards this Friday, March 22. A week later Longreach will again host another sale as AA Co and Australian Green Properties from Alice Springs offer 4500 steers and heifers. 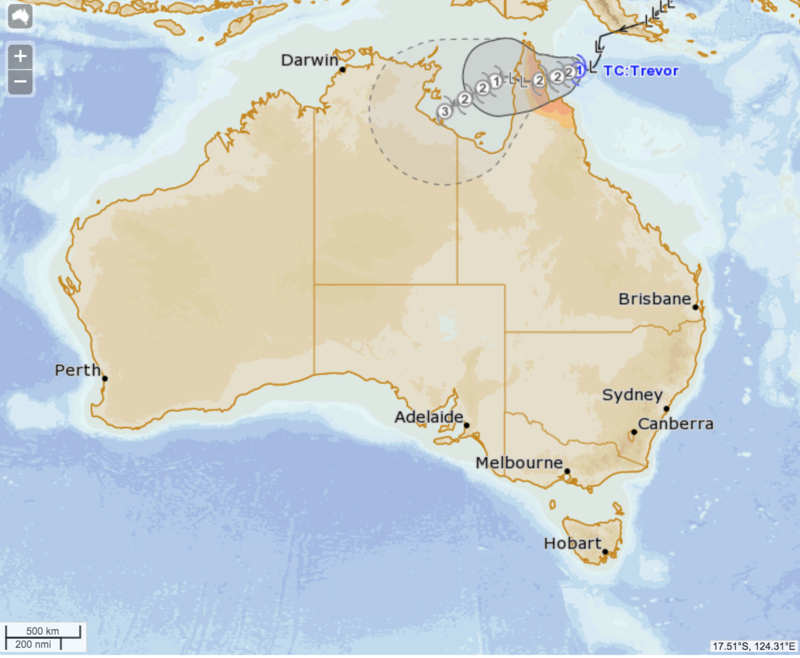 Meanwhile a Tropical Cyclone which formed off the east coast of Queensland’s Cape York Peninsula this morning is expected to develop into a category two system before making landfall tomorrow night. However, at this stage its projected tracking is not creating expectations of significant rainfall for cattle producing areas that are in dire need of rain relief.